Spacious sofa in grey high-grade fabric features power reclining ends with power headrests, USB ports and deep memory foam seating. 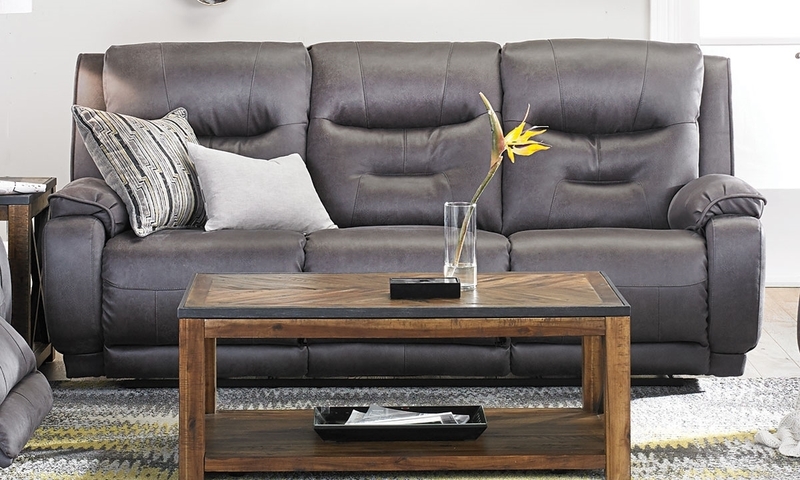 This 89-inch sofa supplies the perfect mix of timeless design and modern functionality. Grey high-grade fabric makes it an easy addition to the décor in most any room, refined with classic style elements like French seaming, deep tufts and self-welting. Memory foam seating and power reclining ends with power headrests combine to provide personalized comfort, along with built-in USB ports for charging smartphones, tablets and other gadgets.